Next week, Drug Channels Institute will release our updated, revised, and expanded 2016 Economic Report on Retail, Mail, and Specialty Pharmacies. The exhibit below—one of 129 in our new report—provides a sneak peek at the largest pharmacies, ranked by total U.S. prescription dispensing revenues for calendar year 2015. Read on for details—including a downloadable PDF that’s suitable for framing! We estimate that total revenues of retail, mail, and specialty pharmacies reached $364.1 billion in 2015, up 12.1% from 2014. 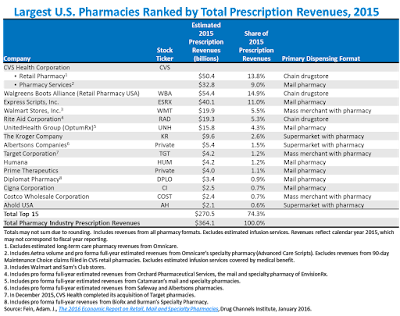 The top tier of dispensing pharmacies—CVS Health, Walgreens Boots Alliance, Express Scripts, Walmart, Rite Aid, and UnitedHealth Group’s OptumRx—accounted for about 64% of U.S. prescription dispensing revenues in 2015. Here’s Exhibit 15 from the new report. Click here to download this chart as a PDF file. 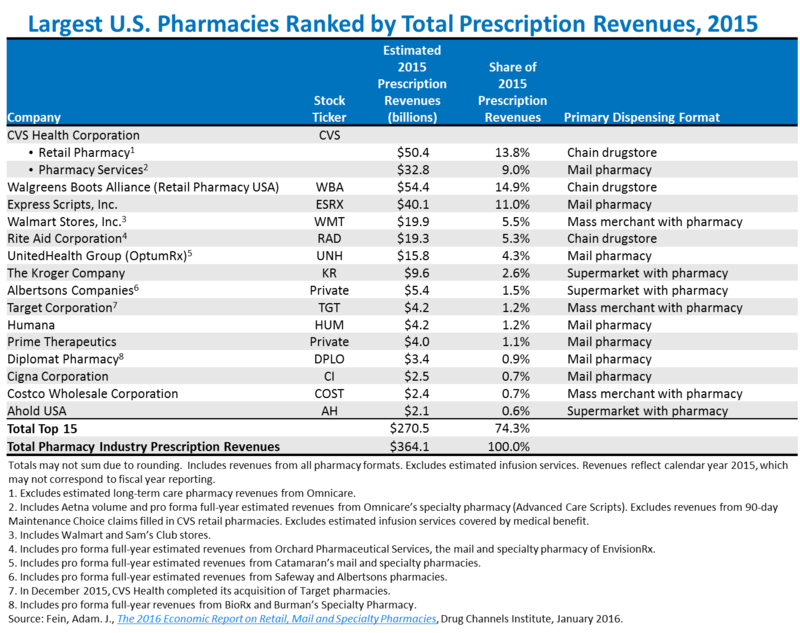 As you can see, many of the largest pharmacies are now central-fill, mail and specialty pharmacies operated by such PBMs and payers as Express Scripts, Caremark, and UnitedHealth. This reflects the growing role of specialty drugs in the pharmacy industry. We estimate that specialty drugs account for 35% or more of revenues at these pharmacies. Keep in mind that market share in a geographic region can differ greatly from national market share. For instance, Walmart, despite being the fourth-largest national pharmacy organization, lacks a significant presence in many major metropolitan markets on the east and west coasts. Rite Aid has no retail locations in many Midwestern and Southern states. Also, some companies operate with multiple dispensing formats, although the chart identifies only the primary format. Lots going on behind these numbers! Wherever possible, we have computed all figures on a calendar-year basis. The fiscal years for many public retail companies do not correspond to the calendar year. 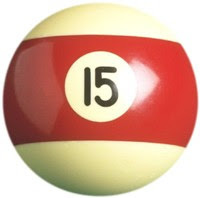 Many companies do not report prescription revenues. We have therefore used various methods and sources to estimate the data. As noted in the chart’s footnotes, we have made various adjustments to account for the pro forma, full year impact of mergers and acquisitions completed in 2015. Another reminder: pharmacy revenues are not equivalent to prescription drug spending (reported by CMS) and “non-discounted spending” (reported by IMS Health).